SMOKING AREA at Anti-Establishment CCS Bard Galleries « Föreningen JA! YES! Association / Föreningen JA! 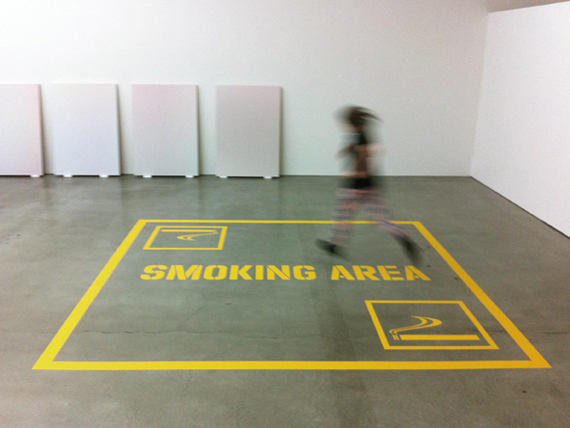 is happy to announce that we are participating with the new project SMOKING AREA in the exhibition Anti-Establishment at CCS Bard Galleries, Annandale-on-Hudson, New York, June 23 – December 21, 2012, curated by Johanna Burton. Anti-Establishment includes the work of Wynne Greenwood, Trajal Harrell, H.E.N.S. (Arlen Austin & Jason Boughton), Jacqueline Humphries, Brennan Gerard & Ryan Kelly, Chelsea Knight (with Elise Rasmussen), Pam Lins, Scott Lyall, Tere O’Connor, Mai-Thu Perret, Sarah Pierce, Elisabeth Subrin, and YES! Association / Föreningen JA! The works in Anti-Establishment investigate artistic practices that, in various ways, radically utilize and recommit to the notion of ”the institution,” while demanding new functions and effects of them. 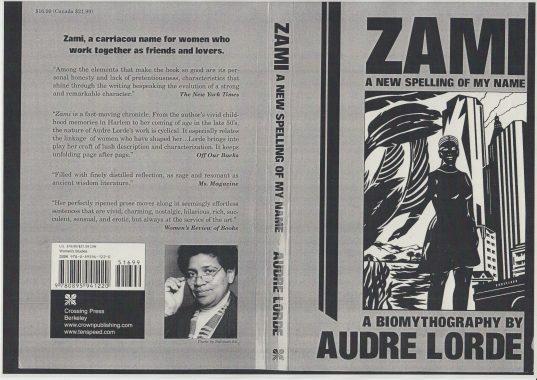 Institutions are very often discussed via shorthand, conflated with the ”establishment”—monolithic, static, and hierarchical societal systems against which avant-garde and countercultural productions can be seen. 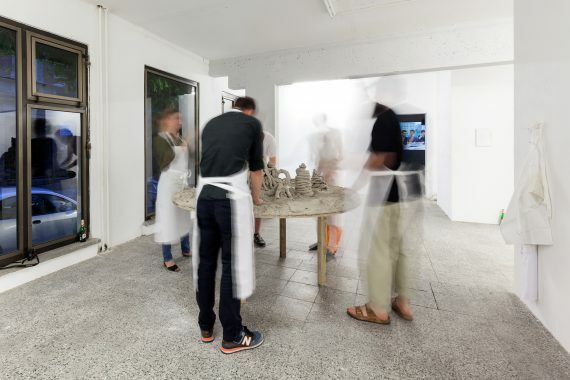 Yet, this exhibition sets the two apart, arguing for institutions as more limber sites, perpetually de- and re-constructed by those that create, inhabit, and dismantle them. A series of live events will take place in conjunction with Anti-Establishment on June 23, 2012 and throughout the fall. A reading/speech/performance, performed by Malin Arnell, Åsa Elzén and Annika Ruth Persson. As part of its contribution to Anti-Establishment, YES! Association / Föreningen JA! hands over time and space to writer and translator Annika Ruth Persson who will do her research for her literary project “Hannah Arendt’s 1940s: Paths, luggage, meetings, writings. 3 narrative essays” in the Hannah Arendt Collection at Bard Collage during a four-week period in October. A work to commemorate the “Hannah Arendt Memorial Smoking Porch” will be installed permanently on the porch to the Hannah Arendt Center building. Free chartered bus available from New York City for the From 199A to 199B: Liam Gillick and Anti-Establishment openings on June 23. For reservations call 845 758 7598, or write ccs@bard.edu. The CCS Bard Galleries and Hessel Museum of Art at Bard College are open Wednesday through Sunday from 1 to 5pm. All CCS Bard exhibitions and programs are free and open to the public.